You could spend a lifetime in Italy and not have enough time to see every wonder and treasure of the country. How do you narrow down so many options to one Italy vacation trip itinerary? Which packages or tours should you pick? 1. The Ruins of Ancient Rome – Every traveler to Italy should explore – on foot – the remains of the once great Roman Empire. Tread where senators, nobles and commoners once did and learn about life in the cradle of western civilization. An Ancient Rome walking tour to the Roman Colosseum, the Roman Forum, Constantine Arch, the Pantheon and Palatine Hill will bring history to life. Seeing the achievements of the Roman Empire is unforgettable. 2. The Vatican and the Sistine Chapel – Budget at least half a day to tour the wonders of Vatican City, a walled city state within Rome that is ruled by the Pope, the head of the Roman Catholic Church. The history, artwork and architecture will astound you as you explore the Vatican, the historic Sistine Chapel, Vatican Museums and Saint Peter’s Basilica. 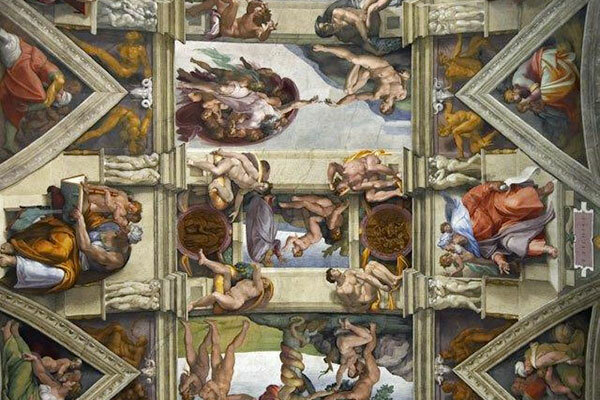 It is highly advisable to take a small group Vatican tour with a knowledgeable guide to fully explain all the highlights, from Michelangelo’s impressive frescoes on the ceiling of the Sistine Chapel to the drama and intrigue spanning centuries in this city state. 3. Florence and Michelangelo’s David – Over a million visitors head to Florence, the Italian city considered widely to be the cradle of the Renaissance and home to Michelangelo’s colossal statue of David at the moment he decided to fight the giant Goliath. The work of other Renaissance artists is found throughout the churches and museums here, but none surpasses the fame of the sculpture of a brave boy who conquered a fearsome foe. Make the most of your time with a skip the line David and Florence small group walking tour. Visitors can see the original sculpture in the Galleria dell’ Accademia in Florence and a copy by Luigi Adrighetti in the Piazza della Signoria. 4. 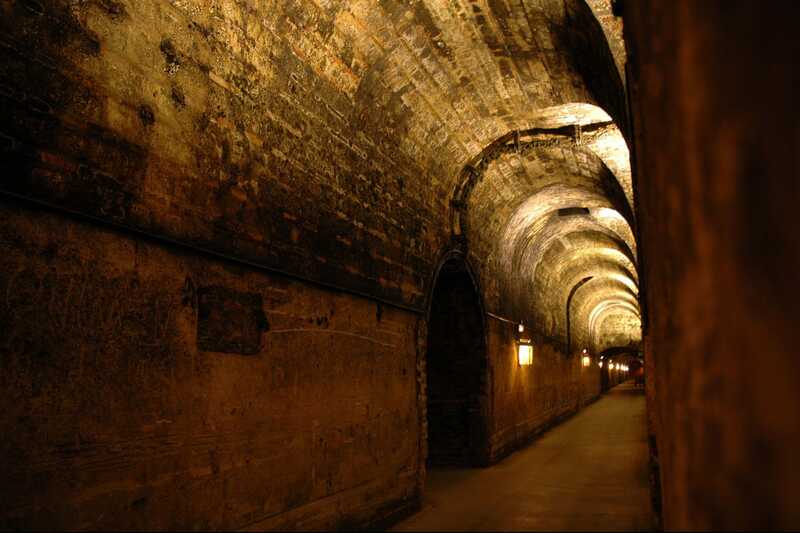 The Catacombs – Under the streets of modern-day Rome lies a whole other world and window into life in ancient Rome. This is a fascinating journey when you go with a small group Catacombs tour with a licensed tour guide who will take you down into the San Sebastian or San Domitilla Catacombs to see the ancient Christian burial grounds. Walking through narrow corridors and learning about the pilgrimages during Medieval times and their use during times of religious persecution is an out of this world experience. The Appian Way and magnificent churches with fine examples of mosaics and other artwork complete the excursion. 5. Pompeii – Not far from modern-day Naples is the site of a terrible tragedy that struck in 79 AD, wiping out the ancient Roman city of Pompeii. Mount Vesuvius, a volcano, erupted and the beautiful coastal city was buried under ash and pumice and most of the thousands of inhabitants buried. Excavations have revealed homes of different classes of citizens, the final moments of many unfortunate souls, and civic buildings including an amphitheatre and gymnasium. A walking tour of this UNESCO World Heritage Site is fascinating and informative. 6. The Amalfi Coast – Italy’s beauty is not limited to her architecture and ancient ruins. Small group Amalfi Coast tours southeast of Naples are as inspiring as they are relaxing. The millionaires’ coast is decorated by beautiful terraced villages, luxury resort hotels, vineyards, olive groves and orchards of lemon trees. The Mediterranean seascape is unbelievable as you wind your way through Positano and Amalfi. 7. Venice – Most people think of the amazing waterways and traveling by boat along these water-traffic corridors, but a walking tour of this ancient city is essential to really explore the essence of the city. To really get to know Venice, take an Original Venice Walking Tour. Highlights include the incomparable St. Mark’s Basilica (skipping the line with special tickets), the exterior of the sumptuous Doge’s Palace and exploring the Campo Santa Maria Formosa. Along the way you’ll get to see the Bridge of Sighs and the Rialto Bridge. This tour not only brings you right to some of the city’s most important monuments, it also explains and illustrates the history of Venice. 8. The Grand Canal in Venice – Picture postcards just don’t do the waterways of Venice justice. Seeing the intriguing architecture of this ancient city from the waterways – her bridges, palaces, churches and landmark buildings – is eclipsed only by learning about the stories and anecdotes of generations of her inhabitants on a Venice day tour. In a word, Venice by canal boat is fascinating. 9. The Chianti Wine Region of Tuscany – Touring picturesque villages, castles, and tasting world-famous wine combine for the perfect day excursion. The Chianti Wine Region is known around the world for its quality wine and fine cuisine. It is also home to Montefioralle, a medieval hamlet built around a castle and Impruneta, where terracotta is still fired today as it was in the middle ages. Another stop is at San Gimignano, another small medieval hill town in the province of Siena where visitors can still see the wall built to defend it from attackers. The relaxing pace, interesting diversions, and informative wine tastings make small group excursions to Tuscany an essential part of any trip to Italy. 10. Cinque Terre – A vital day trip if you travel to see the fine art of Florence is a small group Cinque Terre Day Tour, five stunning cities along the Mediterranean sea. This region of coastline is divinely beautiful, protected by geography from the advances of time. The ancient byways, romantic laneways, age-old orchards and olive gardens are all protected by UNESCO and simply enchanting. Intrigued and inspired? We bet you are! Contact Avventure Bellissime online now to book your next Italian vacation.